This is a die-cut flange De Laval porcelain sign. This particular De Laval sign features a De Laval Cream Separator with yellow text. 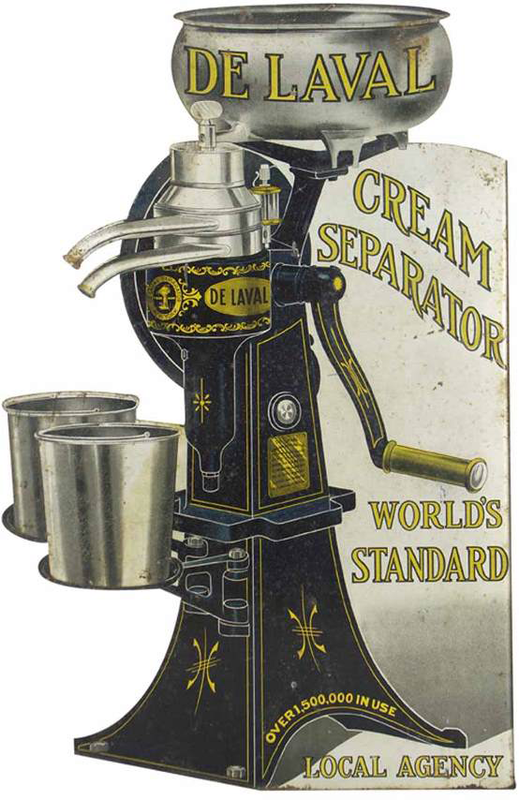 It reads, “De Laval Cream Separator, World’s Standard, Over 1,500,000 in Use, Local Agency”.